It all started as a caller’s off-hand suggestion during a London r adio phone-in show and, apparently, as a bit of a joke. Even Jeremy Corbyn, the left-wing MP who has represented the constituency of Islington North in the House of Commons since 1983, viewed his nomination for the Labour leadership contest as a bit of a long shot. The Tories initially greeted a likely Corbyn victory as a gift – but they’re not cheering so loudly now. Corbyn’s campaign meetings and rallies have drawn thousands of people. Like the Scottish National Party’s anti-austerity call north of the border during the referendum, the victory of the Syriza Party in Greece, and the emergence of the self-proclaimed socialist, Bernie Sanders in the US, Corbyn’s movement-like campaign threatens to change the game and place dynamite under the bedrock of the neo-liberal Thatcherite consensus that has prevailed since the 1980s. The establishment’s terror of a Corbyn victory may be seen in the hysterical media blitz against him – negative attempts to smear him by attacking his wife, digging for dirt on his parliamentary expenses (just £80 last year, as it turned out), digs about his beard, and about the fact that he eats cold baked beans straight from the can. More substantially, he is smeared as ‘anti-American’ for wanting to remove US bases from British soil, ‘anti-Semitic’ for criticising Israel’s relentless war on the Palestinians, ‘pro-Putin’ over Ukraine because he dares criticise NATO’s post-Cold War expansionism, and monstrous for suggesting that Islamic State is the result of the disastrous and illegal war of aggression against Iraq in 2003 – which he opposed at the time, unlike his principal New Labour leadership challengers and critics, including the Blairites. Tony Blair should be worried: if elected, Corbyn is planning to apologise to the Iraqi people and has hinted at a war crimes trial for the former premier. George Orwell would be proud of the double-speak from New Labour’s gurus – Gordon Brown, Tony Blair, Peter Mandelson et al. Their rhetoric is ‘radical’ – the country needs a radical alternative, that attacks poverty and inequality, and delivers public service and social justice. But they all support the austerity policies – i.e., further savage cuts in welfare spending on the most vulnerable – of the Cameron government. This contradiction is helpfully glossed over by the mainstream media. As a democratic socialist, Corbyn has stood on the left of the Labour party for decades and has hardly changed despite the takeover of the party by ‘New’ Labour. In reality, the party was transformed into a pale imitation of the Conservatives after the Thatcher revolution. Now, he stands accused of encouraging Greens, leftists, and even mischievous Conservatives to join the Labour Party to get elected. His is the authentic voice of a Labour constituency that many had pronounced dead – anti-war, anti-imperial, pro-Palestinian, for nuclear disarmament, and for an end to the privatisation of major utilities. Corbyn’s policies – to extract more taxes from big corporations by closing loopholes, to reverse Tory spending cuts, to renationalise the railways and energy utilities, to reinstate Clause 4 of the Party’s constitution (to take into public ownership the ‘commanding heights of the economy’), to renegotiate the relationship of the state to the individual, is considered revolutionary within the Labour party but has massive popular appeal across party divides. Corbyn’s appeal chimes with the dramatic victory of the SNP at the May 2015 general election – where Labour lost dozens of seats. He also draws support from traditional Labour and other supporters of the UK Independence Party, which won 3.8 million votes in the general election. His campaign is a rebuke to the long-lived politics of TINA – ‘there is no alternative’, the clarion call of Margaret Thatcher as she dismantled the welfare state and declared war on the trade unions and working poor. Although ahead in the polls, a Corbyn victory is fraught with problems. Several former and current Labour grandees are warning of a civil war within the party should the democratic socialist win on 12th September. Holding together the party will be a major problem for Corbyn’s leadership and could lead to a major split. The last time Labour adopted a left-wing manifesto, back in the early 1980s, with the late Tony Benn at its head, several leading figures on the right of the party – such as Roy Jenkins, David Owen and Shirley Williams – formed the rival Social Democratic Party. And that’s the message the Blairites are driving home – that there will be a replay of the electoral disaster of 1983. Opposing the Conservative government’s austerity policies will also be challenging given the widespread acceptance of savage public expenditure cuts as an “obvious” strategy. The prevailing consensus is deeply entrenched despite the near-collapse of the financial system in 2007-08. And the record of Labour in power, even before the Thatcher era, was often seen as evidence, by the left, of the impossibility of radical reform and redistribution of wealth, income and power to the working class within a capitalist order. Yet, it is also clear that there is a yearning for change, an alternative to untrammelled free market ideology, largely adopted by New Labour since the 1990s, indeed a hallmark of their takeover of the old Labour party of the trade unions. Corbyn’s apparently unlikely bid for the Labour leadership reflects a deep desire for an overdue debate about the kind of economy, polity – and country – Britain needs to be in the twenty-first century. Whatever the outcome on 12th September, the Labour Party cannot continue in the old, New Labour, way – Corbyn has torpedoed that project. And the Cameron government will face the prospect of a revitalised opposition, with broad public support, and a party with thousands of new members and supporters who are mobilising for action. 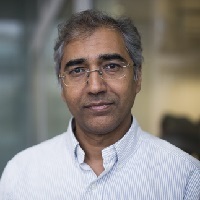 Professor Inderjeet Parmar is Head of the Department of International Politics at City University London.